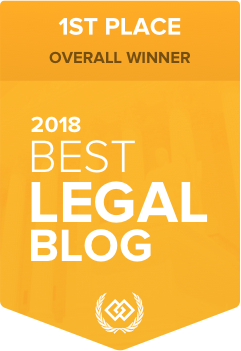 Sports and Entertainment Law Insider – Should Hernandez CTE Case Remain Separate from Class-Action Concussion Litigation? Should Hernandez CTE Case Remain Separate from Class-Action Concussion Litigation? Lawyers for the estate of late NFL star Aaron Hernandez are trying to prevent a $20 million lawsuit, filed on behalf of Hernandez’ five-year-old daughter against the National Football League, from being merged with a wider class-action suit addressing former players’ concussions. The defendants, including the NFL and helmet manufacturer Riddell, asked U.S. District Judge George A. O’Toole in November to temporarily stay proceedings in the case until the U.S. Judicial Panel on Multidistrict Litigation (JPML) rules whether the action should be added to the class action. The JPML had already issued a conditional transfer order last month. The case was originally filed in Massachusetts state court but the NFL removed it to Federal court, asserting the suit was preempted by the Labor Management Relations Act. The league then argued the case was a “tagalong” action with claims “nearly identical” to the multidistrict litigation (MDL). The NFL requested the stay of proceedings to avoid the burden of having to duplicate its efforts in the Hernandez case and the MDL. The former New England Patriots tight end, convicted of one murder and acquitted of two others, took his own life at age 27 in prison in April where he was serving a life sentence. He was posthumously diagnosed with Stage 3 out of 4 Chronic Traumatic Encephalopathy (CTE).